When it comes to marketing your company through social media, it pays to be creative. The weirder, wilder and more ridiculous your tactics, the better chance you have at getting noticed – and the more you’re noticed, the more business you’ll receive. For instance, here are five examples of highly creative social media stunts that you can use to inspire your next social marketing campaign. 1) The Dollar Shave Club’s Promo Video. Last year, the Dollar Shave Club was a just a small company with a big dream – to provide men with a steady supply of new razors for just $1 a month. Then company founder Michael Dubin invested in a low-budget, over-the-top, utterly hilarious promotional video for the business and everything changed. 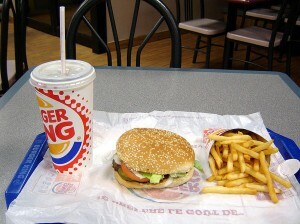 2) Burger King’s Whopper Sacrifice Campaign. How much are your Facebook friends really worth? That’s exactly what Burger King wanted to find out when it ran its “Whopper Sacrifice” campaign in 2009. In order to stir up social media activity, the King offered Facebook users a free whopper if they would defriend 10 people through the company’s app. To make the campaign even more controversial, Burger King sent a message to each ex-friend letting them know that you valued a whopper (which is valued at about 37 cents) more than their friendship. Facebook eventually shut the program down over concerns about privacy issues, but not before Burger King issued more than 23,000 coupons for free burgers and made headlines in publications like the New York Times and Venture Beat. 3) Discovery’s Gold Rush Event. The Discovery network was looking for a creative way to promote the third season of their new series “Gold Rush” when they had an idea to allow views to pan for gold themselves – through social media. They got marketing agency OMD to create an app that allowed users to sift through virtual dirt on their mobile devices for gold flakes just like the characters on the show. The draw was that one lucky “panner” would win $100,000 in real Alaskan gold. OMD promoted the campaign heavily through ads on television in social media. In just one week, they got over 600,000 users to pan for virtual gold, resulting in an engagement rate that was 12 times the mobile benchmark and increasing awareness of the series by 30%. In the end, the premier episode of “Gold Rush” was Discovery’s highest-rated broadcast of 2012. 4) The Clear Channel Dunk Tank. Clear Channel found a winning balance between traditional PR and social PR through their Times Square Dunk Tank stunt. The stunt, designed to promote the new Spectacolor HD billboard, displayed a virtual dunk tank with two potential victims – a “strong man” played by Hollywood stunt man Ron Miller and a “painted lady” played by Best Ink star Sabina Kelley. Spurred on by a “Carny Barker,” passersby voted via Twitter for which person they’d like to see dunked. Once the votes were tallied, users were able to manipulate a virtual ball onto a target and were rewarded with a video clip of the victim plunging into the water. The stunt is ongoing throughout the summer, and has resulted in a massive spike in tagged tweets for Clear Channel. 5) Mini’s Best Drive Ever Contest. Ernest Hemingway is famous for writing a short story in only six words. Mini USA decided to take this idea and run with it through their social networks. The company’s “Best Drive Ever” contest asked YouTube users to upload videos of themselves describing the perfect drive in just six words. The winner of the contest would be featured in an ad to promote the launch of the new Mini Cooper. Though the contest video only got 700,000 views on YouTube, it cultivated a massive amount of entries from all sorts of consumers. The winning entry goes as follows: “Stewardess. Salt flats. Paratroopers. Sushi. Falconer.” You can see the awesome video Mini made for winner and Portland resident Matthew Foster here. You might not have a massive budget to promote your company through social media, but that shouldn’t stop you from being creative about your campaigns. Make a funny video promoting your newest product, run a clever giveaway contest where the prize is a ride in the company owner’s Porsche, or just promote a unique hashtag. The quirkier the stunt, the more likely it is to get you noticed.